This page contains the latest Venta4Net version news. We strongly recommend that you keep an eye on new releases and to update your version of Venta4Net on a regular basis. Should any problems with the Venta4Net package arise, first make sure you're using the program's latest version. Chances are the problems you've encountered have been corrected in newer versions. To receive information concerning new Venta4Net™ releases by e-mail, join the Venta4Net™ news mailing-list. We will not pass your e-mail address onto any third party. At present, the latest version of the package is Venta4Net 3.10. Registered users of earlier versions of Venta4Net that obtained their registration keys after March 1, 2017 are entitled to a free update to the new version. All other registered Venta4Net users can get version 3.10 with a 50% discount. To get a discount, please contact us. 1. Fixed the issue that caused the server to freeze after receiving arbitrary external requests. 3.The OpenSSL library has been updated to improve the compatibility with some SMTP servers and Windows 10. 4. Fixed the issue with the Message Manager that occurred when the user attempted to open a folder while a voice message was being played. 5. The automatic printing of received fax messages in the client application worked only for the TIFF format. From now on, the PDF format is also supported. 1. You can now enable two-dimensional coding (MR) separately during fax transmission and reception. This can accelerate the reception and transmission of black-and-white faxes, but significant line noise can lead to greater than regular fax distortions compared with one-dimensional coding (MH). In order for two-dimensional conding to work, both parties need to support it. 2. Regrouped the parameters on the IP telephony account settings tab. New settings added. In particular, the "Registration expiry, s" parameter lets you change the re-registration interval, which is sometimes required for some SIP servers. 1. Added the support of speech recognition modules. This capability can be used in remote control scripts for performing specific actions depending on recognized words. The feature requires Windows Vista or a newer OS with Microsoft .NET Framework 3.5 installed. 2. When using text-to-speech conversion (TTS mode) along with regular text files (*.txt), you can use files of special formats (*.xml and *.vxml) that offer more flexibility in converting text to speech. These files can be used as voice replies and messages, including those used for remotely controlling answering machines. 3. Added the support of T.38 redundancy. When this mode is enabled, each new T.38 packet will contain data from older packets in case some of them got lost. This will increase transmission reliability, but will also result in more data being transmitted. GroupCmd_On/GroupCmd_Off – allow/prohibit the use of command groups instead of a single command. SpeechRecognition_On/SpeechRecognition_Off – allow/prohibit speech recognition. 5. Added a new %SRResult variable for answering machine remote control scripts. It is used for storing the latest recognized voice command. 6. Fixed a bug that occurred during the reception of fax messages over the T.38 protocol when some packets got lost. 7. When using IP telephony, a notification about error 31 was occasionally shown after the start of the program. Fixed now. 1. Now if IP telephony is used, the 'Split dialing command into several commands if total number of symbols in number exceeds' parameter under the 'Transmission - Dialing - Advanced' tab is ignored. 2. The program uninstaller broken in the previous build is now fixed. 1. A VoIP-related issue arising from use of national characters (other than basic Latin characters) in the PC name is now fixed. 2. Files are signed with new digital signatures to comply with new security requirements in Windows 8, 8.1 and 10. 2. Failed tasks sometimes were not displayed in the Scheduler. This has been fixed. 1. 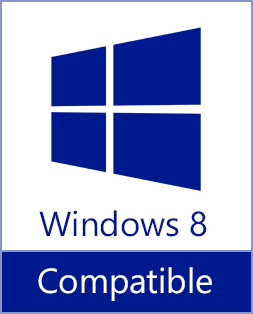 Improved compatibility with Windows 10 (as well as Windows 8 and 8.1). You will now be able to send faxes both from traditional programs (desktop apps) and Windows Store apps (also known as Metro-style apps). However, when you print to the VentaFax “virtual printer” from such apps, it will generate files that do not contain a transparent text layer. 2. You can now use integrated Windows 10 tools (Microsoft OCR Library for Windows Runtime) for optical text recognition. 3. If VentaFax was running during Window shutdown, it occasionally generated an error message. This has been fixed. 1. When a task was scheduled through the command line, no line by number routing rules were used. In some cases, these rules also worked incorrectly when tasks were scheduled in other ways. This has been fixed. 1. Fixed problems with voice command set automatic detection for certain modems. 1. Added a possibility to generate scheduled delivery queue from comma-separated text files (*.CSV). 2. Added the support of voice functions in voice GSM modems by Huawei (tested with Huawei E173, but may work with other models from the same manufacturer). 3. Added the support of IMS-based VoIP servers, including Caller ID support (tested on a server of the Maxifon provider, Belarus). 4. Fixed a bug in the Scheduler that caused the name of the message file name to be ignored during the creation of a new selection. To do that, you need to download the 32-bit (x86) version of the platform (the x86_SpeechPlatformRuntime\SpeechPlatformRuntime.msi file) from Microsoft.com or our site. Apart from that, you need to download and install the necessary voice packages from Microsoft’s website. 2. The new VentaFax virtual printer generates fax messages with a “transparent” text layer. Such a message can be easily found by a text fragment using standard Windows search tools. 3. The resolution of outgoing fax messages has been adjusted in the new virtual printer. 4. The number of pages is now displayed on the thumbnails of received multi-page fax messages. 5. When creating a delivery schedule using command line parameters, you can now use the /pb:<phonebook name> key. It will schedule tasks for all recipients listed in this phonebook. 1. The program can now display new fax messages as thumbnails right in the main application window. Clicking a thumbnail will open the corresponding message in the Message Manager. 2. The Message Manager now features a "New Faxes" virtual folder containing unread incoming fax messages. 3. We have slightly changed the algorithm of searching for a phone number in the names of documents sent to the VentaFax "virtual printer". Previously, a phone number was a sequence of characters between the first and the second # sign. From now on, it will be a sequence of characters between the first and the last # sign. This will allow users to specify phone numbers containing one or several # signs (sometimes used by alternative communication providers) in the names of their documents. For instance, to pass number 497813364585#001 to the program, the user will have to name the document something like fax#497813364585#001#.docx. 4. Fixed a bug that caused the answering machine parameters to be redefined incorrectly in some cases. 5. Fixed the connection termination procedure when using the SIP protocol. As the result, the connection termination event (“phone hung up”) is detected more correctly in case of some SIP service providers. 6. Faxing with industrial Siemens/Cinterion MC 52i-module based GSM modems is now supported. 7. Fixed an Internet-telephony related bug that caused disconnect after multiple switching from voice to fax mode and back while using G.711a codec. 8. Actions after transmission were executed only for delivery tasks scheduled directly from the server end PC. Fixed. 1. Improved compatibility with those Asterisk-based VoIP servers that support T.38 protocol (e.g. provided by GTI Technologies, www.gtivoip.com). 2. Now you can disable country/area code autofill when adding new records to a phone book. 3. Now you can display "Lines", "Initial priority", "Current priority" and "Information Header" columns in the delivery schedule. 2. Added a possibility to save files to a cloud storage in actions after reception and actions after transmission. This enables users to copy received and sent files to Google Drive, SkyDrive and similar services. 3. From now on, the name of an incoming message file can include the caller’s name if it was sent during the call or found in the phonebook by the phone number. 4. While redefining voicemail parameters, you can now change the number of rings to sound before the program takes the call. 5. Added the "Monitor incoming calls" parameter. When this option is enabled, the program will "hear" incoming calls as if the auto-answer mode were enabled, but will not take them. By default, this option is enabled for Internet telephony and disabled for regular telephony. 6. During manual fax transmission (not scheduled), it was impossible to change or hide the header in the Message Wizard. Fixed. 7. Fixed the problem with incorrect display of the schedule when the left-side navigation panel ("tree") was disabled. 8. It is now possible to set "Default time mask" and "Telephone Type" options for all imported records when importing data to the phonebook. 9. Added a possibility to save a record in public phonebooks from the Transmission Window (or Message Wizard) on the client end. 1. Routing rules can now be configured not only by country and area codes, but also by the initial digits of the phone number. 1. Missing libraries added to the installation archive to provide faxing via G.711 passthrough protocol. 1. %Len variable can now be used in remote control scripts. 2. Improved compatibility with MS Excel mode can now be enabled when exporting data as CSV files from the Log Book application. - in the manual mode, not only can the calling party send fax messages to the called party, but also receive messages from the latter. 3. Records filter box in the Phonebook lose focus after entering a character. Fixed. 4. Fixed a number of minor bugs. 2. Fax reception didn’t work if Cisco CallManager was used. Fixed. 3. The program started with an error message on some modern systems running Windows 8. Fixed. it was impossible to manually pick up an incoming voice call in the speakerphone mode. 1. Added a possibility to use a STUN server for IP telephony. 2. Restored the possibility to use the speakerphone mode for IP telephony that was inadvertently lost in the previous version of the program. 1. Fixed a bug that resulted in incorrect automatic detection of voice command set for virtual VoIP modem. 1. You can now specify email addresses up to 255 characters long (used to be 31) in Actions after reception and Actions after transmission. 2. The time mask editing panel now contains its number. This number can be used for selecting a specific time mask when configuring the delivery schedule by launching the program with command line options (for example, for integration with external applications). 3. When redirecting an incoming message to another phone number with an action after reception, you can now not only specify a wave file with an announcement, but also enter a text to be played back using a text-to-speech (TTS) engine. 4. Information about the program license and available updates can now be viewed both on the server and client ends of the program if the Server control user right is granted. 5. Fixed the error that occurred when the Apply button was clicked in the lower part of the Log Book application. 6. Fixed the error that sometimes made the update availability check inaccessible. 7. Fixed the error that caused the list of connected users to be shown incorrectly when an unauthorized user disconnected. 1. The server end can now receive messages from email users by downloading them from a specified POP3 mail box. 3. When editing a quick search field in the Scheduler or the Phonebook, the Delete key worked incorrectly: instead of deleting a character, it generated a record deletion prompt. Fixed. 4. Fixed a bug that resulted in an incorrect operation of the Tall Saver mode. 3. Added the /grX:<answer name> command line option, where X is the ring type (1, 2, 3 or 4). The option allows you to use different greetings for different ring pattern types. 4. Fixed an error that did not allow users to select port numbers higher than 32. 1. The sizes of main application windows are now saved separately for one line and all lines view variants. Venta4Net Plus, the extended version of Venta4Net software, is released now along with Venta4Net. In addition to all Venta4Net functions, it is capable of receiving tasks from users by email and sending completion reports back to them. Besides, Venta4Net Plus can also work with clients installed on a terminal server. 1. Improved the stability of the program during long periods of operation under peak loads. 2. Fixed a bug that occurred under undefined conditions and resulted in the denial of access to the journal. 3. If the "Forward by email" action was selected both as an action after reception and an action after transmission, the values of some fields were always identical. Fixed. 4. Some minor bugs fixed. 1. The context menu of the Message Manager "tree" now has a "Locate on disk" item that opens an Explorer window with the selected file. 2. The Scheduler now allows you to export task states while exporting selections. 3. The Scheduler now allows you to search completed tasks by a date interval. 4. You can now delete records selected from phonebooks from the list of recipients when scheduling delivery tasks. 5. In some situations, splitting or merging of pages containing recognized text resulted in an error. The issue has been fixed. 6. When a fax message containing a cover page was re-sent, information from the "Note" field could disappear. The issue has been fixed. 7. When installing the program, you can now specify whether it should create shortcuts for all users (as before) or the current user only. Lots of other minor bugs fixed. 2. The Scheduler now has a new parameter: "Treat tasks terminated with disconnection error (20) as completed successfully". When this option is enabled, such tasks will be moved to the “Completed” group (instead of "Failed") and will be marked with a yellow icon. 3. The software will now prevent the computer from entering the stand-by or hibernation mode if fax delivery is enabled and there are uncompleted tasks in the schedule. 4. The maximum number of operations with a remote control script command has been increased from 64 to 256. 1. You can now set up line routing rules for outgoing calls depending on the destination phone number. Therefore, you will be able to automatically assign allowed lines for each scheduled task. For instance, you can use Line 1 for local calls and Line 2 for international calls. 1. You can now export search results from the Scheduler. 2. Added a new key - /wa:<time> - specifies whether the program should record a voice answer and sets the maximum recording duration in seconds. 1. If the user printed something using the VentaFax printer while the Main application is running, the transmission window was not brought to the foreground, but was hidden behind the window of the calling program. 2. The number of active tasks was displayed incorrectly in the client part during the scheduled delivery. 3. When switching lines on the client side, some fields could still display values for the previous line. 2. Now you can specify keywords in the recognized text of fax messages to be assigned to a specific action in the actions after reception filters. 3. Batch text recognition in fax messages. 4. Possibility to directly convert documents in TXT, RTF and HTML formats to the fax message format. 5. Possibility to manually send scheduled messages. 6. Now you can search records in the schedule by the name of the phonebook. The Message Manager now remembers the dimensions of the text input field when editing faxes. March 22, 2010. Venta4Net 2.3 released. This version was tested for meeting all of the technical requirements of Windows® 7. Based on test results, the program was designated as compatible with Windows® 7 (and thus eligible for the “Compatible with Windows® 7” logo). 1. Data backup and restore utilities have been added to the program package. Using them, you can, for example, create a backup copy of all program data on one computer and deploy it properly on a new one. The backup utility can be used even if an older version of the program is installed on the old computer. 2. For MS Office documents (Word, Excel, PowerPoint), a feature for “transparent” conversion has been added. If such a file is chosen in the program, then its conversion into fax format will now be done without the corresponding application being visibly opened on the screen. 3. Graphics files in the JPG, BMP, PNG, GIF, WMF and EMF formats can now be converted within the program itself, without needing to call on the associated applications. 4. A feature for storing settings for multiple SMTP servers has been added, so that users can quickly switch between them when needed. The SMTP server settings have now been moved into another tab, "Mail server - General", instead of "Reception - Automatic – Actions after reception – Mail server". 5. Rules in "Actions after reception" can now be made temporarily inactive. Previously it was necessary to delete them in order to do so. 6. Now it is possible to select one or more tasks in the schedule and with a single click find all entries in phonebooks where the telephone numbers coincide with the numbers for the selected tasks. This can be used to search for "dead" numbers in order to delete them, or conversely, to search for "live" numbers to transfer them into a separate phonebook. 7. Now you can form batch files using the /e: command line option not only in ANSI encoding, as before, but in UTF-8 as well. 8. When launching the program using command line options, you now have the option of specifying multiple files. These files if necessary will be converted and merged into a single fax or voice batch. Additionally, the key /saveas:"filename" has been added, allowing you to set the name for the resulting file. 9. Now the Message Manager buttons for page navigation for multipage faxes are associated with hotkeys (Ctrl+up arrow, Ctrl+down arrow), pressing the Ctrl+Home and Ctrl+End key combinations will jump to the first or last page respectively, and the Ctrl-Shift-S combination will open the "Save as..." dialog. 10. A setting for "Disconnect if DTMF # command is detected" has been added to the "Reception - Automatic - DTMF tone control" tab (turned off by default). If you pick up a phone on the same line and press the pound key (#, also called the number sign) when the answering machine is active, then the program will detect the signal and hang up. September 3, 2009. Venta4Net 2.2 released. 1. Now in case of user reauthorization (when the user changes his/her computer) he/she can be assigned the same ID (user number) that was used earlier. In the previous versions of the program the user undergoing reauthorization was always given a new number that made it impossible to access the entries already existing in the user’s log and schedule. 2. It is now possible to create the so-called configurations, i.e. sets of settings for the clients. The user undergoing authorization on the server can be assigned a certain configuration which will be loaded to the client computer. It is convenient when configuring a package with a large number of client workstations: now the bulk standard settings for the clients can be configured directly on the server. 3. There is a new option ion the client partend making it possible to run the program at Windows startup, in minimized mode as well (parameter "Load automatically on Windows startup" on the "Miscellaneous - General" tab). 4. Now it is possible to activate confirmation of user actions in manual mode for reception and transmission separately ("Fax - General" tab). 5. The program can now automatically check for updates. 6. Now you can scan pages and merge them with a previously selected fax message when preparing a new one. In earlier version, a new fax message was always created after scanning. 7. The "Send notification to another telephone number" option has been added to the "Actions after reception" list. It allows you to send a receipt notification to the specified phone number. 8. The "Send notification to the senders telephone number" option has been added to the "Actions after reception" list. It allows you to send a receipt notification to the senders number identified using Caller ID. 9. An ability has been added to play text files in the TTS mode in remote control sessions. 10. The operation of several program features has been optimized. November 14, 2008. Venta4Net 2.1 released. 4. If you are using a distinctive ring service, you can now specify the ring pattern to be assigned to a specific action in the actions after reception filters. 5. German interface localization files included in the installation archive. 6. Interface improvements in the Message Wizard and the Transmission Window. 7. Added separate numbering of incoming faxes and voice messages. June 04, 2008. Venta4Net 2.0 released. 2. The interface of the Message Wizard has been reworked. Now the screens of the Wizard feature additional tips and explanations. 5. A new action after reception has been added: "Launch a program". 6. The software now features a mechanism of automatic updates of the client part whenever the server part is updated. This feature will work when new versions are installed over version 2.0 and above. If version 2.x is installed over 1.x, automatic updates of the client part will not function. 1. While assigning a line to a group of users, you can now specify whether the line should be used for sending, receiving or both. 2. The Log Book now allows you to create transmission/reception reports for several selected lines (as opposed to a single line or all lines in the previous versions). May 30, 2007. Venta4Net 1.8 released. 4. A new right - "Server control" - has been added. 5. Now it's possible to email a fax in the PDF format from the client end. 6. Users can now create postponed tasks in the schedule for those clients that have the right to create non-postponed tasks. 7. Now you can see the ACT! Contacts list as one of Venta4Net phonebooks. 8. A new feature allows you to start recording your conversation automatically right after the connection has been established when dialing a number without sending a message. 9. A new setting allows you to interrupt an answering machine greeting by receiving the "*" tone. 10. A new setting enables you to generate the "*" tone command before sending a fax or a voice message. Many answering machines (and now the new version of Venta4Net as well) interrupt the answering machine greeting upon receiving this command. 11. The Message Manager allows you to merge several faxes into one. 12. Now you can save a multi-page fax message from the Message Manager in the TIFF format both as a single multi-page file and several single-page files. 13. In the Message Manager, you can now convert a fax message in draft quality (204x98 dpi) to the standard resolution (204x196 dpi). 14. The transmission ticket can now include a thumbnail of the first page of the fax message. 1. It is now possible to assign lines to groups of users. 2. The Message Manager now shows a single inbox folder, if it is the same for all lines. August 16, 2006. Venta4Net 1.61 released. 4. A new Sender field (for outgoing faxes) has been added to the Log Book. 7. A command line option /ms[-] has been introduced. Launching the program with this option puts the program into transmission with manually-established connection mode. After launching with such an option any printing to the VENTAFAX printer will result in fax transmission, as with fax transmission in manual mode without dialing a number, but without the display of additional dialog windows. 10. A new Pages field has been introduced to the Scheduler, which displays the number of transmitted pages of a fax (disabled by default). March 15, 2006. Venta4Net 1.6 Released. 1. Sending and receiving color faxes are now supported (in Windows 2000, XP and 2003 Server). 3. Spanish interface localization file included in the installation archive. 4. A fax sent by email can be automatically converted into PDF format. 5. The Photographic halftones mode is now available when generating a black and white fax. 6. A new feature has been added to Message Manager: you can now create and edit color faxes and cover pages. 7. In Message Manager, the list of formats for fax conversion is expanded. Now faxes can be converted into JPEG, GIF and PNG formats. 8. In Log Book, archive names now use the date interval notation based on first and last records entered (previously the archive date notation was used). 9. Now with just one click you can copy the contents of Windows Address Book (WAB) into the VentaFax Phone Book. June 18 2005. Venta4Net 1.51 Released. 1. A user can be given the rights under which his or her tasks will be scheduled with the "put off" status. For such task to be performed, a user with certain rights must change its status. 2. An animated System Tray icon displaying the task transmission process at the client end is introduced. 3. An indication of connected users is added. 4. A Text-To-Speech (TTS) translation support is added. Now you can use text files for announcements and voice messages. In addition, more caller information can be pronounced upon the caller's phone number delivery. For example, you can hear the caller's name, if the one can be found in a phone book. 5. A SAY operation is added to the list of answering machine remote control basic operations. It is used to pronounce a text in TTS mode. 6. Several answering machine remote control scripts that employ TTS mode are added. 7. The limitation on the Note field length in the cover page templates is removed. 8. Now an email notification of an incoming call can be sent even if the caller has left no message. 9. Program settings can now be saved and restored by means of profiles. A new command line option is added: /pfl:"filename.pfl". Starting the program with this option changes the current settings to those saved in the profile. 10. A duplicate search feature is added to the Phone Book. Now you can find entries with the same phone or fax numbers. 11. A simultaneous change of first digits of prone numbers feature is added to the Phone Book application. 12. Now it is possible to filter the Log Book reports by type of call as well. 13. Fax description can now be edited in the Message Manager. 14. Now when you stamp a document by means of the Message Manager, the coordinates of the last stamp are saved. 15. The Message Manager's built-in editor allows inserting a text with any selected zoom factor, not only with 1:1 zoom factor, as in earlier versions. 16. The Message Manager now allows sorting the file list in reversed order and saves the size and position of this list. 17. Opening the Message Manager from the Transmission window now opens the page displayed in the Transmission window and not the first page, as in earlier versions. October 21 2004. Venta4Net 1.42 Released. 1. Several new voice command sets are introduced. 2. A new "Print" action is added to the list of possible actions after reception. It provides a selective print-out of faxes. 3. MS Outlook Address Book now loads faster. 4. Now you can copy the data from the MS Outlook Address Book to a Venta4Net phone book at a single click of the mouse. 5. A new "Do not convert telephone number" parameter is added to the "Transmission - Dialing" tab. It is useful when you operate via a mobile phone. 6. A new parameter is added to the answering machine remote control scripts for managing the telephone line silence detection. 7. Expanded modem diagnostics procedure. Besides modem voice functions, distinctive ring support and Caller ID capability are now detected during the diagnostics phase. 8. Now the program can automatically adjust the DRON/DROF time frames according to each ring type timing when using the distinctive ring services. Furthermore, now you can set the minimum pause between the successive rings (in a number of cases it influences the correct detection of the type of a call). 9. New call registration parameters are added that enable independent displaying and pronunciation of identified phone numbers separately for incoming and outgoing calls. 1. A new /LINE= command line option is added to specify the number of the telephone line which parameters are to be changed. August 6 2004. Venta4Net 1.4 Released. 1. Now you can easily add a stamp, your signature, logo, seal or any other image to facsimile documents you send. 2. In the Message Manager, you can now save a document after rotating a page on 180 degrees. June 4 2004. Venta4Net 1.3 Released. 1. Added support of V.34 fax (Super G3) protocol that provides facsimile message reception and transmission rate up to 33600 bps. To establish a V.34 fax connection, both receiving and transmitting side must support this mode. By now, modems that support the V.34 fax protocol (not to be confused with the V.34 data transfer protocol) have not gained wide acceptance. 2. Added new feature: now the program can automatically switch the number of rings the modem answers on according to the selected time mask. 3. Now you can not only add, but also overlay the information header on the page to be transmitted. In this case the page length does not increase. 4. Added support of scanners with automatic paper feeding mechanism. 5. Now the facsimile message to be transmitted can consist of the cover page only. 6. The Log Book: added new facsimile message preview instrument (the "View - Fax Preview" menu). 7. Added new feature: typing-in the name of the received facsimile message when printing received faxes automatically. 8. Now each phone book entry can contain the priority information. For example, if you create the mailing list from such a phone book, the higher priority tasks are delivered first. 9. The syntax of answering machine remote control script language is significantly expanded. Added usage of variables and conditions. 10. Received messages can be redirected to the specified telephone number. 11. Added new feature: recording voice answers when transmitting facsimile messages. March 15 2004. Venta4Net 1.2 Released. 1. Now you can transmit a facsimile message with the cover page. 2. The Message Manager: added cover page creation and editing feature. 3. Besides two-line fax header, one of the single-line headers can be used. 4. Added new feature: setting the minimum and maximum duration of signal and pause for various ring patterns. The only modems that this feature concerns are those that transmit ring pattern information in the form of the time frame (DRON/DROF). 5. Added new option: the "new message" attribute can be altered in the Log Book. 6. The Message Manager: added current page transmission feature. 7. Now remote control scripts can be applied not only to incoming calls, but also to outgoing calls. To do that, you need to select a script file (*.VFA) as the file intended for sending out (for example, by scheduling the task for automated delivery). October 27 2003. Venta4Net 1.1 Released. 1. Date and Fax ID (CSI) can be added to a received message name. The caller's phone number can also be added if it was delivered. 2. Added Agere modems support. 3. Added new %Name and %NP operators to the "Action After Reception" option (in the "Subject" and "Message body" fields). The %Name operator substitutes the caller's name found in a directory on the identified phone number. The %NP operator substituted the caller's name or phone number if the name is absent. 4. Various types of answer can now be set for each type of call in the Distinctive Ring mode. Now Venta4Net family includes multi-line program versions. July 25 2003. Venta4Net 1.0 Released.